When I started in this field over 20 years ago, I worked in the field alongside of many different field staff. I met all kinds: Oversharers. People just biding their time. Excellent, caring individuals. And the worst type: bitter people. Gallup will call these individuals actively disengaged. Disengaged just aren’t sure yet. They don’t know if what they are doing matters or if they have truly found a home. We are working to build a team and a company of engaged individuals. To me, engagement simply means people who have found their place, know their contributions are appreciated and they have relationships that matter. 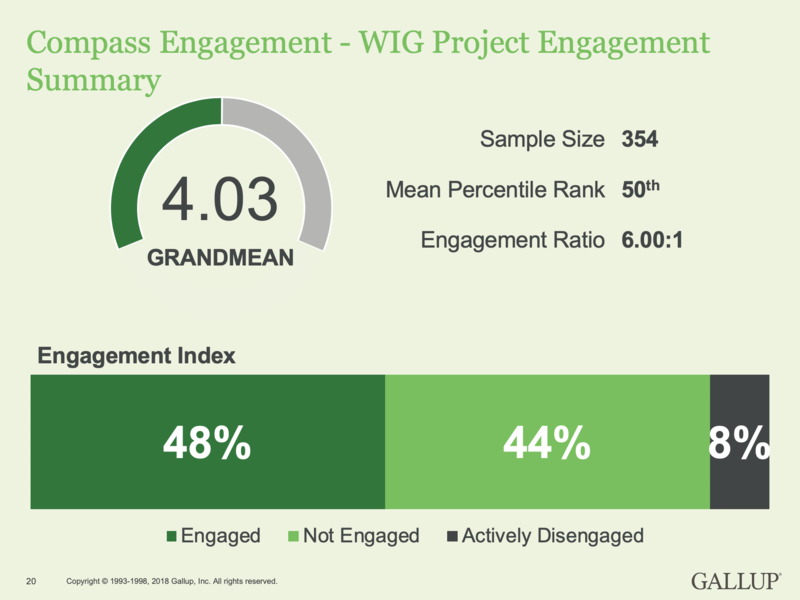 We recently asked our team to participate in a Gallup survey to let us know where they are at and what we can work on to change our culture to one of engagement. The results are in! We are average. ☺️ I am pleased to report 48% of our team are engaged, which is a great start, but we have work to do! The first will be recognition. This seems to a need across the board. We all want to feel acknowledged for hard work and this is currently lacking. Secondly, we need to help our management team understand priorities and expectations. This makes sense: our managers are literally pulled in 20 directions every day. We need to help them live our values and feel our support as we navigate real life difficult decisions daily. Lastly, our team wants more opportunities to build community and have relationships. This makes a ton of sense. We all got in the social work world because we love people, but sometimes this work can feel isolating and discounted based on our distance from one another and client choices. If you would like to see more results or be a part of ongoing dialogue to address these needs, please email Glory (glory@compasscares.com) and we will get you connected. We will need a lot of input and teamwork to better engage and support our teams. I dream of a day when you can walk into any office, any client home and meet quality individuals who have found not just a job, but a place to happen.